We made the NX4 DSD' s full aluminum shell by a machining center. CD sound quality can reach 20-20kHz frequency response range and Hi-Re$ Audio standard requirements 20-40kHz frequency response range. NX4 DSD frequency response range is 20-100kHz, which is far more than CD quality and Hi-Res Audios requirements.Well deserved to get the Japanese Hi-Res Audio certification. You can play almost all kinds of Audio source because NX4 DSD is compatible with 32bit/768kHz、DSD256(Dop) and DSD512(native). 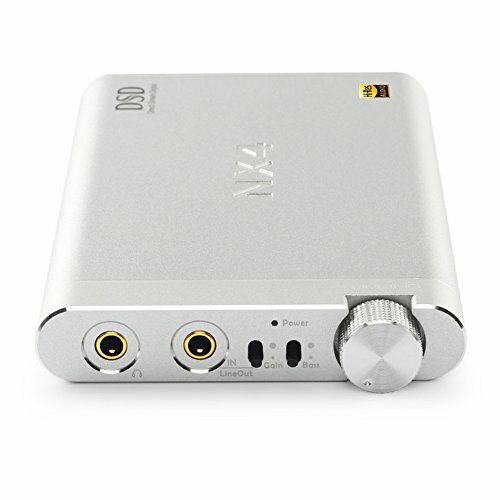 NX4 DSD provides 28 hours playback time for headphone amp and 7.5 hours playback time for USB DAC + headphone amp.